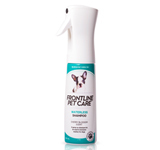 For protection you can trust against fleas, choose FRONTLINE PLUS for Cats. The easy spot-on treatment kills fleas on your cat, plus flea eggs and larvae in their environment to keep them protected. 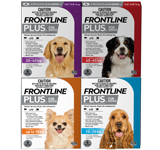 FRONTLINE PLUS kills fleas rapidly. Monthly application will deplete the flea population over time and protect your environment from re-infestations. Can be used in kittens from 8 weeks of age. Safe for use on breeding, pregnant and lactating queens. Waterfast – so it can be used on cats that are shampooed between treatments. Ensure your cat is completely dry before applying FRONTLINE PLUS for Cats and wait 24 hours before wetting your cat again. Treats and controls flea allergy dermatitis. Treats and controls biting lice. 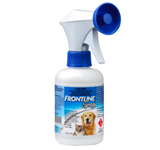 For paralysis tick control on cats use FRONTLINE SPRAY. Note: Fipronil, one of the active ingredients in FRONTLINE PLUS, causes fleas to become hyperactive and therefore more visible before dying. After application of FRONTLINE PLUS, you can handle your pet as soon as the application site is dry. Your cat can be bathed or shampooed from 24 hours after application. For full instructions, please read the product packaging before use. Speak to your vet for further advice on flea control using FRONTLINE PLUS or call our Customer Care line on 1800 808 691 for advice on flea control using FRONTLINE PLUS. Hold the pipette upright with the label facing towards you. Tapping the neck of the pipette can help ensure the contents are in the main body of the pipette. Snap off the tip along the scored line. Place the tip of the pipette on the skin where indicated and squeeze the pipette gently to empty the contents. Apply entire contents in one spot. After application FRONTLINE PLUS spreads to protect your cat. See the product label for full instructions. Are fleas hiding on your pet? Find out about fleas and how to get rid of them. Enhance protection against fleas in your home!